There’s an array of different cigar styles and sizes out there. With that said, yes it can get confusing, but we’ll break down just the basics today as we look at the different styles that are available and how the sizes are categorized. To begin, there are both domestic and international cigars. Both of these can either be hand-rolled or machine rolled. The hand-rolled category can be further subdivided into what’re called premium and boutique cigars. The primary distinction between a boutique cigar and any other premium hand-rolled cigar has to do with quantity. In order for a cigar to be classified as a boutique cigar, it has to be manufactured by a company that makes one million or fewer cigars per year. This allows further attention to enhancing the quality of each individual cigar. That effort really pays off because the tobaccos included in such cigars are clearly chosen with the objective of creating as sophisticated a flavor as possible. 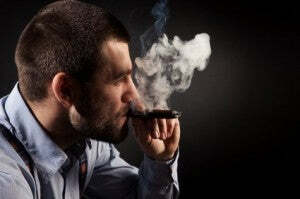 Cigar sizes are categorized in two main ways: length, and diameter. The longer the cigar, the more time you’re going to be able to enjoy it. The larger the diameter, the stronger it’ll taste. You see, the same company can make two cigars using the same tobacco and identical methods, yet they could taste slightly different merely because one’s bigger around than the other. Another thing that could assist you on finding a cigar you like are the additional flavors that are added to some of them. Once you’ve found a certain flavor, tobacco, and size combination you like, you shouldn’t necessarily stick to that one alone. It’s a good idea to try other flavors out there.